Leadership Day Project - This form will be coming home with your student this week! Every day 1,200 kids enter foster care in the U.S. Together We Rise is a non-profit that changes the way they experience the system. Many of those kids are forced to move all their belongings in a garbage bag, but we know that kids are not trash! 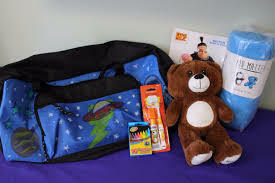 Your donation of $25 would sponsor a duffel bag that would be given to a foster child in our local area. Any amount you can donate (even if it’s not $25) would help us toward our goal. Checks should be made out to Andrew Community School. We will be decorating and packing these bags as part of our Leadership Day on April 13, so please join us then! Thanks for your generosity!